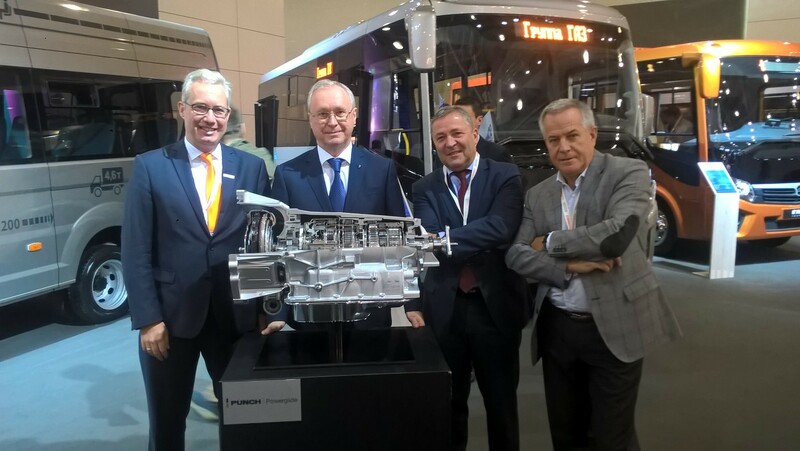 PUNCH Powerglide is proud to announce a cooperation with the GAZ Group, Russia’s leading Commercial Vehicle manufacturer. GAZ and PUNCH Powerglide have agreed to equip the future GAZelle Next minibus with PUNCH’s 6L50 automatic transmission, making of this new model the first automatic application of GAZ’s commercial vehicles. This six-speed gearbox is fully electronically controlled with a clutch-to-clutch shifting, which will provide a new driving experience and additional comfort to GAZ’s customers. PUNCH Powerglide is part of the entrepreneurial PUNCH Group and is a leading and independent player competitively positioned in niche segments of the automatic transmission market, with more than 10 Million transmissions produced. The R&D, manufacturing and corporate functions are based in France (Strasbourg). The site celebrated its 50th anniversary this year. PUNCH Powerglide’s product portfolio includes conventional, micro-, mild- and full hybrid driveline solutions.